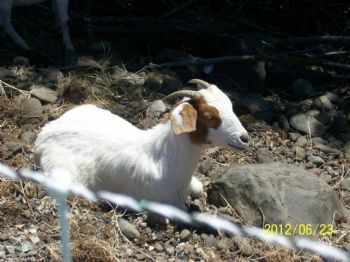 The goats are brought in each year to clear the undergrowth along the banks of the river that runs thru Pendleton. So fun to watch. Here is a picture from the first year they came. Great picture. Must be fun to watch.